Today’s patients expect that their hospital will have the safest, most technically advanced solutions to heal and keep them well, both during surgery and recovery. While infection control (IC) might not be on their Q&A list when they are admitted, the most successful healthcare institutions know IP is a critical component of their current and future success. From innovations in the IC industry to advances with seemingly no connection to IC, there are a bevy of critical tools in a hospital’s efforts to reach 0% HAI. Ultraviolet (UV) disinfection is one of the key tools to significantly decrease HAI. Combining traditional manual cleaning with UVC technology as a “bundled” approach is one of the most effective way to reduce HAIs. UVC technology uses UV light to penetrate the cell walls of bacteria and viruses and render them unable to replicate. Dangerous pathogens can’t reproduce and spread after being treated with UVC energy. In the OR of the Future, increased automation will allow for not only more accurate work, but greater opportunities for a completely sterile environment and, therefore, less risk of dangerous HAI. Automated IP systems, including those utilizing UVC, will also ensure that ORs are ready for the next procedure more quickly and with great assurance of IP controls. Voice control technology will help surgeons stay sterile, as their hands won’t have to leave the patient. Contracting an illness from a pathogen in the OR is always a risk factor for any patient. Voice control software is making it possible to mitigate that risk further than today’s precautions. Data collection and advances in internet protocols (IP) both allow hospital staff and national healthcare groups to better understand processes that lead to better outcomes at lower costs. When used this knowledge can also decrease the risk of mistakes and share data on system-wide best practices more quickly. 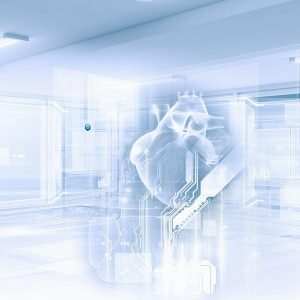 The Operating Room of the Future is a concept that will revolutionize surgery, making it minimally invasive with shorter recoveries and little to no complications. Read our free “Operating Room of the Future” whitepaper to learn more about how your hospital can be ready for tomorrow’s patients.